THE SELECTION changed the lives of thirty-five girls forever. 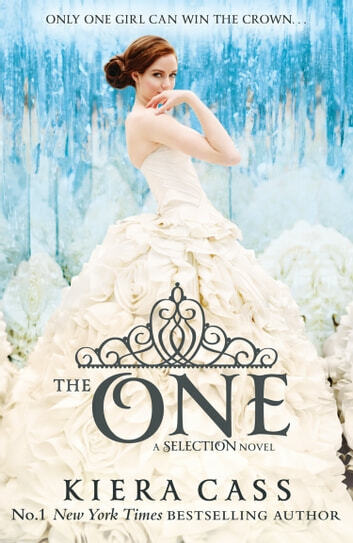 Now, only one will claim Prince Maxon’s heart… It’s swoon meets the Hunger Games in the third instalment of THE SELECTION series! For the four girls who remain at the palace, the friendships they’ve formed, rivalries they’ve struggled with and dangers they’ve faced have bound them to each other for the rest of their lives. Now, the time has come for one winner to be chosen. America never dreamed she would find herself anywhere close to the crown – or to Prince Maxon’s heart. But as the competition approaches its end and the threats outside the palace walls grow more vicious, America realises just how much she stands to lose – and how hard she’ll have to fight for the future she wants. 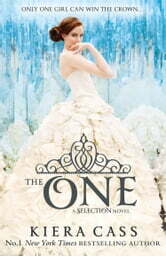 The breathtaking third title in THE SELECTION series will make you swoon! This is a fantastic book. I fell in love, got angry, cried and exerienced every emotion the characters did. Fabulous book by an author that doesn't get enough praise!! Excellent book. Brings the trilogy togrther very nicely. This is an amazing book so much so that I Finished in a day , I Would very highly recomend this book. Its the type of book you too rearly find and that you cant put down. When you will read this book you will weep,laugh and wonder along with the main character! Didn't want to put it down. I really enjoyed the story what a shame that the titles give away so much... It would be nice to be even more kept in suspense with all the twists.